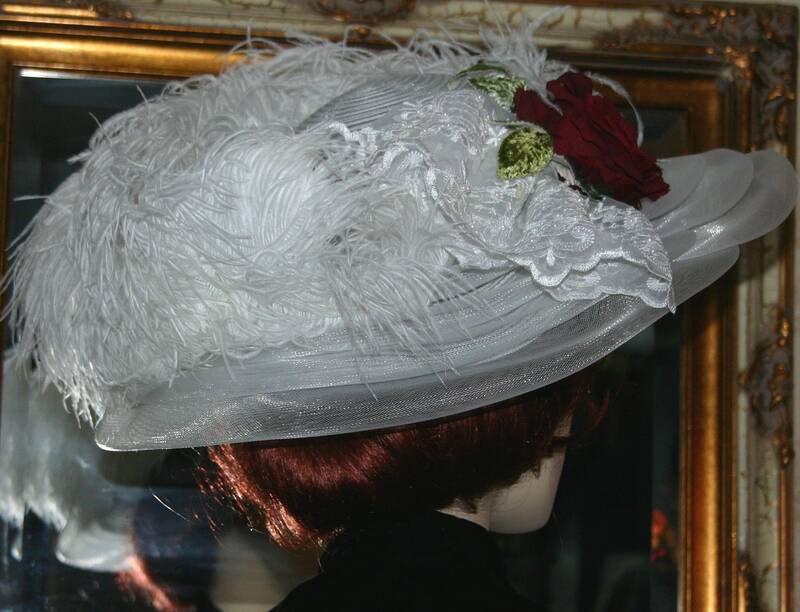 Edwardian Hat "Lady Katherine" is perfect for your Downton Abbey Tea. 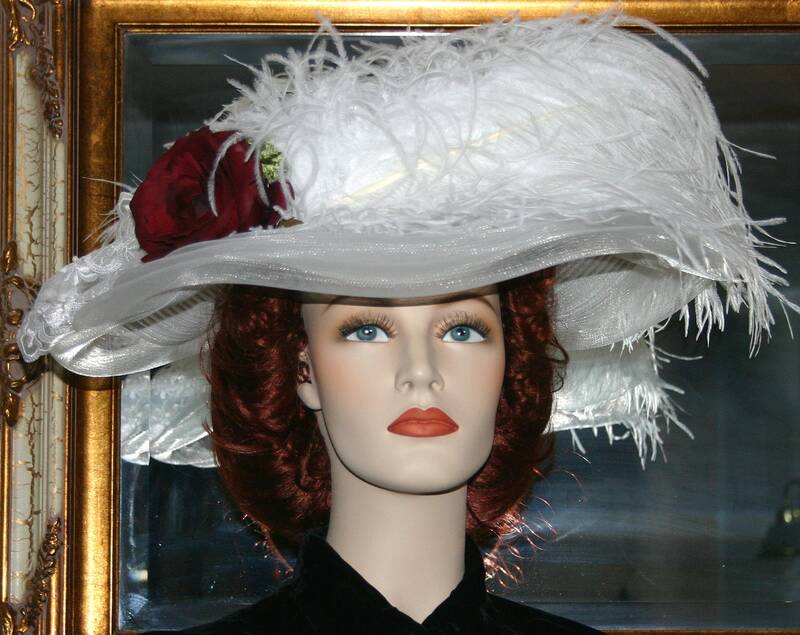 It's made of white designer horsehair and the brim measures a full 20 inches in diameter. It would look beautiful for that special tea party, church, wedding or Easter! It's adorned with a gorgeous burgundy rose. The hat band is beautiful white lace. Delicate white embroidered organza is accenting the rose (embroidered design on organza may vary from hat to hat). 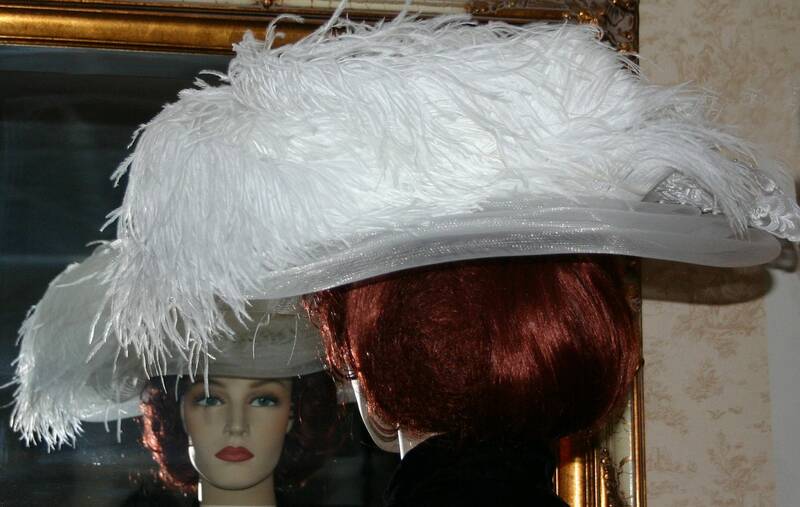 There's three luscious white ostrich plumes sweeping across the front and side of the hat. This hat is will turn heads anywhere you decide to wear it! 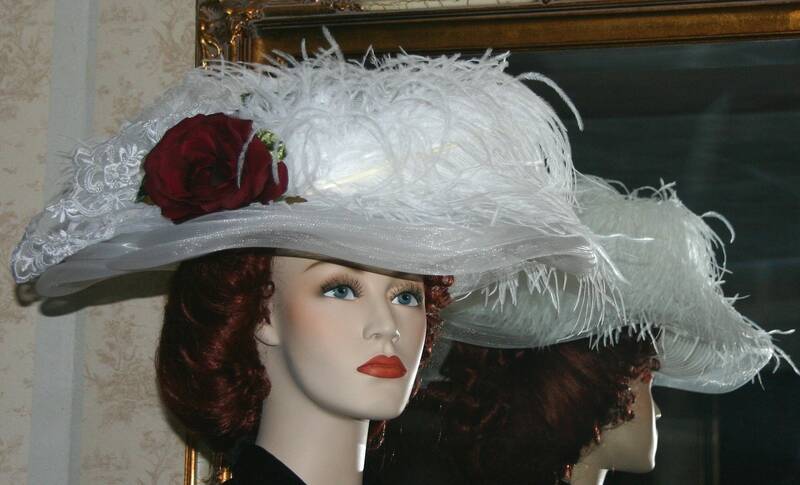 Perfect for a Titanic Hat or a Somewhere in Time hat also perfect for the Kentucky Derby!